One of the best things to do when you’re on a cruise is to indulge – especially in food. Most mainstream cruise lines guarantee a delectable dining experience with their buffets – they have everything from pasta, salads, sushi, and so much more. Craving for some savory stir-fried eats? Celebrity Cruises have enough to satiate your appetite – they can even do made-to-order! Oceania Cruises’ international cuisine offers numerous mouth-watering delights that would cost an arm and a leg on land. Norwegian Cruise Lines’ Garden Cafe is a great venue for breakfast – with its made-to-order omelet and waffle stations. Just need your pizza fix? Pizza stations and other snack sections are often open all day, and all night. If you’re having the time of your life by the pool, you’ll also enjoy the poolside eats! The outdoor grill provides a smorgasbord of choices – hotdogs, French fries, and so much more. Need something to cool down? Grab as much ice cream as you can consume at no additional charge, or quench your thirst with free juices! It’s almost impossible to resist the scrumptious free eats onboard. But, that doesn’t mean you let yourself go as far as not getting your daily workout at a cruise freebie! You can still keep to your fitness routine by visiting the ship’s state-of-the-art gym, which is usually fitted with pretty much all the workout equipment you need. From sophisticated cardio and weight gear, to breathtaking views while you exercise, to recreational fitness venues, cruise ships often provide you with plenty of good reasons to get your body moving. 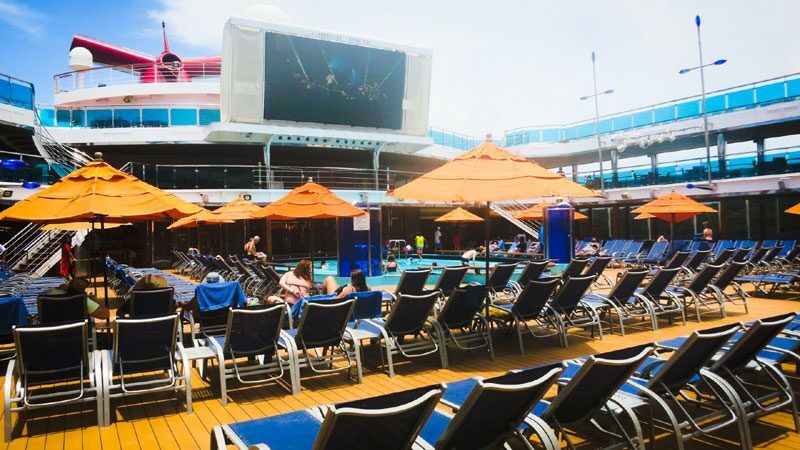 The Royal Caribbean’s Quantum Class ships’ fitness centers have very spacious workout areas – the Oasis of the Seas for example, has more than 150 cardio machines. Their Freedom class ships do not disappoint either, with fitness centers that are 9700 square foot large! They also have two-lane jogging tracks, outstanding circuit training gear, and knowledgeable staff to assist you when necessary. Want to spice up your fitness routine? You can try swimming or indoor cycling. Norwegian Cruises also offers a rock climbing wall and an exciting, agility-testing ropes course. Get all your accessories for your upcoming cruise vacation right here. 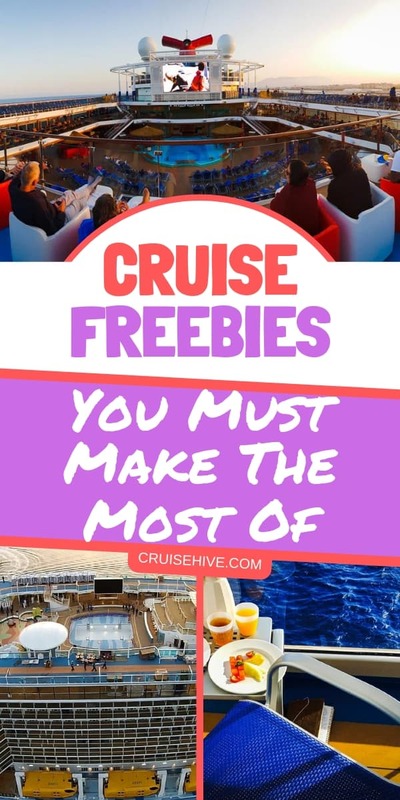 Aside from soaking up the lovely sunshine by the poolside, or enjoying the enthralling views around you, cruise ships also offer a wide assortment of activities that will make your trip outstanding – without the need to spend extra. Some ships have free cooking demos and photography lectures. If you’re feeling adventurous, you’d want to try Royal Caribbean’s FlowRider surf simulator – for free! You can also catch a fun Broadway show in Norwegian line ships – all part of your initial cruise fee. There are also acrobatic shows and other fun games! Disney Cruises are of course, best for families, as they offer a wide variety of activities that kids and kids-at-heart will surely enjoy. Imagine meeting well-loved characters like Disney Princesses, Mickey and Minnie Mouse, and the Avengers among many others – you just might get the chance to interact and dance with them in a show too! Well of course the cruise experience itself is already a great way to get into your ‘relaxation zone’. But more than just the restful sleep in your cozy but swanky cabin, there are plenty of other places that can help you get into that blissful mood. Part of your cruise freebies ‘benefits’ is to make use of the ship’s steam room and sauna rooms. This is a great way to unwind after a full meal, or after an entire day’s worth of activities. Room service is also free in most ships for a particular stretch of time, and this is ideal if you just want to sit back, relax, and enjoy your meals in bed. You can also ask to sample their DVD collection for a movie marathon! Coffee and tea gets you into your Zen zone? Most cruise ships offer this complimentary, day and night! You can also ask coffee shops onboard for any ongoing promos on pastries and specialty coffee – you never know what wonderful free treats await you! Think cruise vacations are expensive? They can be pricey, but what they offer in terms of value for your money is definitely worth it – just make sure you make the most of it. When in doubt about which amenities come with your cruise package, all you have to do is ask. You just might be surprised at how many things you can actually enjoy for ‘free’!